The Challenges behind being a Product and Brand Value Accelerator. I can recall many occasions helping college friends, associates, and customers accelerate a project after it had been completed. Back then I did not realize I was an accelerator. A couple of times I heard the word "agent" bandied about when it came to my helpful ways. However, I have too much respect for agents to think I could do that job. Agents have to be part actor, part believer, and part business person while also being able to schmooze. I wasn't much of a schmoozer, however, I did manage to get myself welcomed into places where I could pitch my ideas. What made me successful at helping others was doing the best I could to help them with their project by either reviewing the finished project, or actually helping to create the project when the situation arose. I had a remarkably good record at knowing when a project should or could be accelerated. However, and ironically enough, because I was not their agent many times the initial success I helped introduce associates to would result in the effort falling short for a variety of surprising reasons. The reason aren't important, what is important is that I did my job and gave the person axis to true success. 20 years later and there are close to a half dozen stories that would have been more noteworthy if the people I had assisted had just signed their agreements. Going forward it would have been nice to have such testimonials. I may decide to reach out to some and see if they would be willing to give me a testimonial quote. In the meantime, I am moving forward on numerous projects. But as I heard on a Shark Tank episode last night, One is none, and two is one. I could not agree more. When I was the person helping someone else, two was one. Now as I go forward more or less on my own, one is none more than I care to admit. Recognizing a Great Brand Accelerator Strategy from the Shark Tank's Mark Cuban, Guardian Bicycle, and Amazon. One of the Best Brand Accelerator announcements and strategies I have ever read involves Mark Cuban of Shark Tank, Guardian Bicycles, and Amazon. ""Amazon's goal, and our goal, is to make Amazon the destination for safer bikes," Riley said. "They want to be known for selling bikes with this technology. That's really exciting. And Mark was an instrumental part of helping us put this together." The above paragraph does multiple things all at the same time, and all of them are off the charts when it comes to accelerating Brand Value. While other bike companies have been reluctant to use the Guardian technology on all of their bikes, Amazon blazed to the front of the pack by stating they wanted to be in the bicycle safety business. Good for Amazon, Good for Guardian Bikes, Good for the Mark Cuban team for seeing the value in using Guardian Bikes as a positive, proprietary leveraging asset for the right decision makers at the right company. Props to Shark Tank for connecting the right players at the right time. Props to the writer of the article, Neetish Basnet – Digital media intern, Dallas Business Journal for finding such a great quote to put into their article. Why all the props? Because Guardian Bicycle Technology may save or prevent your own kid from an over the handle bars accident caused when old style brakes are applied too quickly and too forcefully. Increasing email lists or Customer Request Numbers don't Always Paint a Truthful Picture. No matter how an employee performs, at some point numbers may be exclusively used to determine their "value" and how well they "perform". But what if the numbers lie? What if entire sectors of a company have figured out how to amp up their results without getting caught and continue down this path because it is the only way to keep their job? I am in the midst of a shocking discovery regarding a major corporation and satellite company fraud they refuse to investigate. The very well known company has an affiliate in India that is falsely coding customer requests. I am assuming this being done to show that as calls come in, the satellite company can show an excellent response rate by making sure they always code the customer calling in as wanting some type of information. If the customer is actually asking to be taken off of a list, an employee or satellite company can falsely code that the customer wanted information. This creates the falsehood of an increasing customer response rate. Falsifying customer request records also causes the parent company to then pay for the resources necessary to fulfill the false requests being made by the satellite company on behalf of the customer. In this instance the further irony is the parent company has created a closed feedback loop system in which any complaints about the satellite company are automatically forwarded back to the same satellite company that is committing the original false requests! Wow! It may take years to discover a sector of a company is amping up their results. I recall early on in my working career I was at a very famous company that was going to merge with two other successful companies. The problem was each company had debt that they had hidden from each other while they all were comparing their bottom lines. Each company thought they were being saved by the other two companies that had actually hidden an equivalent amount of debt. The three companies basically became three times as indebted once the merger was completed, and was out of business less than a year later. Fast forward and one thing I notice on LinkedIn is a growing community of number crunchers who justify their value by the increased numbers of leads or email lists they are generating. Who can blame them, that is the method the company uses to justify their worth. I wonder if shrinking a data base of leads to the best and most qualified connections might prove more valuable than increasing a data base list among people who simply clicked to belong, irrespective as to how committed they actually are to becoming a future paying customer. Amidst the potentially dodgy statistical dust that potentially can loom among all corporations, never forget that sometimes people outside of the company who value your actual product or service you provide may be your best bell weather as to what is right about your company. If one of those outside the company supportive entities believes they may have a way to accelerate value for your brand or product you make, do you have an intake system that might allow for some type of alliance with them? If an outside value accelerator can benefit your company by a much grander scale they themselves will personally benefit, it may make sense to have some type of intake mechanism. If you don't have an intake mechanism in place for Product an Brand Value Zccelerators, maybe its time to reconsider. How would your company respond if someone claimed they could move 5 million units of one of your products? How would your company react if a value accelerator claimed they could sell five million units of one of your products? Would you automatically laugh it off? Why? Do you have a policy in place that if a company employee is contacted via LinkedIn the employee knows how to respond? Do you have the proper intake within your company to give fair consideration to such an offer? Employees might be afraid to forward a product value acceleration claim. Maybe the employee sees it as a test to see if the employee knows how to defuse what may be an unrealistic claim. But what if the claim could be backed up? If the employee is not sure are they going to be punished if they forward the product value acceleration claim on to someone else within the company? If a company simply refuses to believe a value accelerator's confidence in one of their products, then the refusal becomes a self fulfilling, or, self unfulfilling wish. I operated my own videotape editing studio for 15 years. During that time I would edit with the client right next to me. Discussions between edits varied. When it came to internal company politics, I was informed that whenever a company president selected the direction their company would take, that there were at least 2 to 3 factions within the company that were all were competing with one another's vision vying for the President's blessing. Inevitably some of the projects would take a back seat to the project the company President felt was the direction the company should go in immediately. Example, the company could promote its products via trade shows all over the country, radio ads, or create some type of live show that would be featured at the trade shows, or do sophisticated in store set-ups. Once the choice was made those who had been lobbying for a different course of action would have to fall in line and be supportive of the president's decision, while possibly secretly being ready to turn the knife if the winning idea faltered in such a was as to blame the project chosen ahead of their own without faulting the president of the company. Now add an outsider with an idea that could actually accelerate the brand or product value for the company. How are all of these factions that were already competing with each other supposed to react? Yet the irony is the outside presence is supportive of the company and its products and services and has been inspired by the company's effort and results. It's all about perspective, is this outsider here because the company insiders didn't do their job, or did the company insiders do their job really well and it has attracted additional outside interest? Back in the early 90's Panasonic's consumer video division created the MX-12 analog / digital switcher. Before it was to be released the professional division of Panasonic looked the product over and said it was too good for a consumer release. The MX-12 became a "prosumer", professional consumer product instead and this soon led to the MX-50, a remarkable analog / digital switcher for its time in the early mid 90's. The MX-50 had a clip level control that allowed for amateur shot video to be readjusted by clipping the whites and bringing up other video levels to better control the contrast values. When combined with a videotape playback machine that had proc amp controls for the brightness, contrast, color and hue levels, the two units in combination offered remarkable control over consumer video footage that otherwise was deemed too contrasty. Being able to analyze an existing product and accelerate its value is a good thing, and people such as myself who occasionally see product and brand value acceleration potential should be seen as the good guys, Intrapreneurs on the Outside looking in. 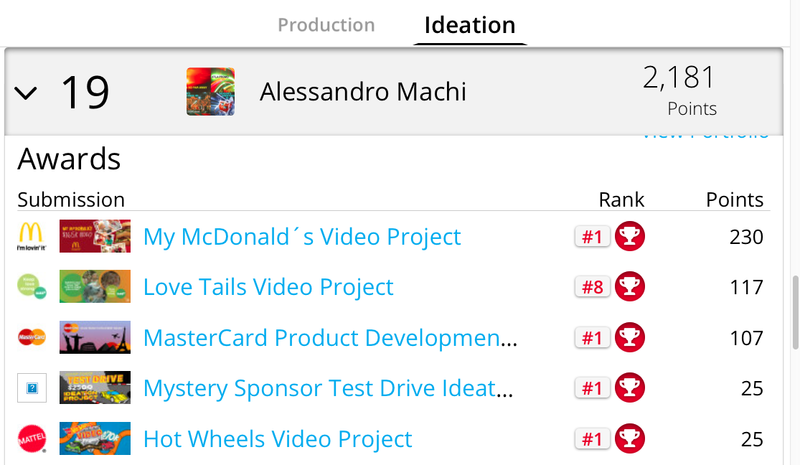 My name is Alessandro Machi and I am an Extrapreneur with Intrapreneur ideas and concepts. From time to time I'll come up with a concept for accelerating the Value of a Brand, or accelerating a Product within a Brand. 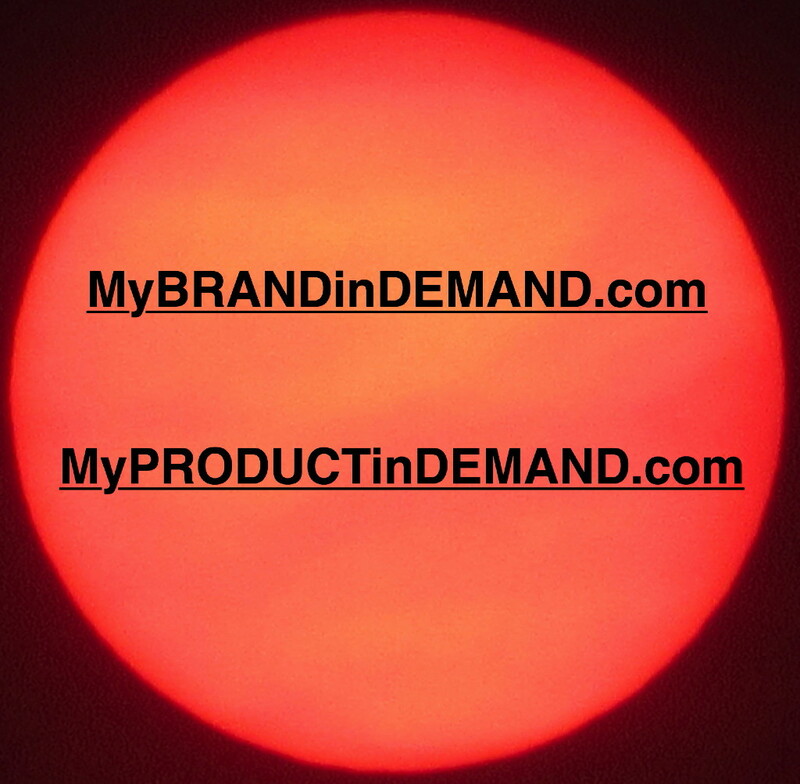 Presently there are over a dozen ideas and concepts for existing Brands, Products and Services I can help accelerate sales. However, having a brand or product value accelerator idea, and actually creating a scenario where the company is willing to accept an extrapreneur's idea, is never as easy as one would hope. I'm open to contingency deal memos, if a company I approach about accelerating their brand or product value does not want to use my idea, there is no charge. I am open to the company creating a contingency deal memo. If I believe strongly in a product of yours, believing in me can be mutually beneficial.